I’m Marilyn Clark, a performance analyst in HMRC’s Digital Services Optimisation Team, based in the Newcastle Hub. I work on the Personal Tax Account - the digital service that enables individual taxpayers to understand their tax position, update HMRC on changes to their circumstances and access our support without the need to pick up a make a call or write a letter. Six times a year performance analysts in central government get together to share best practice and learn about new insights and techniques. We call these ‘DAUGS’ and they usually take place in central London. DAUGS stands for ‘Digital Analysis in UK Government Services’ and is the main event that the cross government Performance and data analysis community runs. The scope is increasingly about helping our teams measure how the whole service is performing. I’ve come to expect the events to be a great way of improving my skills and making my job easier day to day. So I went to our November meetup looking forward to connecting with colleagues and hearing about their experiences. But the day ended up being about much more than that for me. I had planned to travel to London with some other HMRC colleagues, but local transport disruptions meant we missed our train. We negotiated seats on a later journey; a delay that would help me with an ongoing issue. On the platform we bumped into a colleague from DWP. Within moments of taking our seats we were talking shop and sharing ideas and stories. This led to me asking why my goals were returning different figures; something I hadn’t been able to get to the bottom of. Result! I discovered there was an issue with the data which could be resolved by applying filters. So before I had even arrived in London, the community had helped me improve my data and saved any number of hours looking for a solution. This, for me, is one of the great added benefits of this event: the opportunity to come together, to share and to learn from what’s happening in other departments. 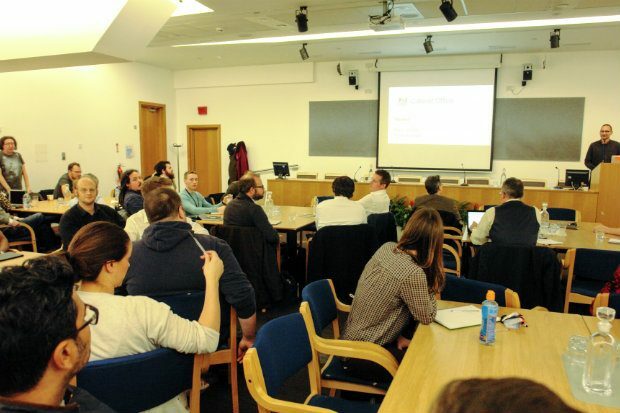 This DAUGS was hosted at the BEIS conference centre, with a revised schedule that included short ‘technique share’ sessions to connect analysts with tools and skills that could make their jobs easier. Peter Jordan, Head of Performance and Data Analysis at GDS, introduced the event by taking stock of where we are and how we got here in his presentation What is DAUGS (for)? This was a useful reminder for me, and a great introduction for one of my colleagues who was attending for the first time. It also demonstrated the importance of using data and analysis to measure performance within digital services. As I said earlier, DAUGS is an important part of building capability going forward. 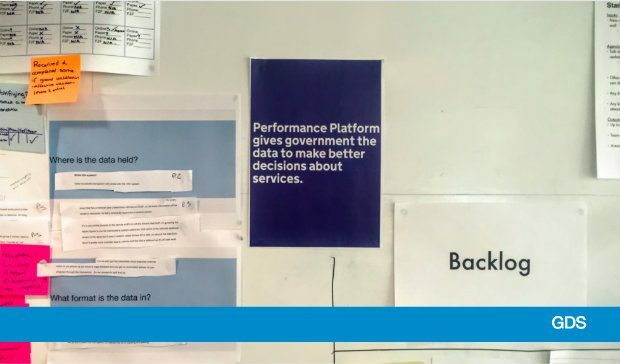 Peter O’Sullivan, Lead Product Manager for the GDS Services programme, updated us on the Performance Platform's work to explore the data that government needs to make better decisions about government services. He talked about the user needs his team identified during their discovery and the challenge of identifying meaningful and feasible metrics. I am often in awe of statisticians and I found Chris Bullen’s presentation on using web analytics data in the public domain (aka how to keep statisticians happy) brilliantly presented, containing twists and turns similar to an 1980s murder mystery. Chris is Head of Insight and Analysis at DWP and he talked about the Code of Practice for Official Statistics. He argued that although web analytics data is probably considered management information, at DWP they recommend that the core principles of the code are followed. For me this served as reminder of the need to use data correctly: to tell a story to the appropriate audiences at the right time, including using the publicly available dashboards on the Performance Platform. Anne Carr, Senior Performance Analyst for GOV.UK Verify, talked about ways of tracking users' behaviour when your service doesn't have a save and return function. Following a tea break and opportunity to talk to fellow analysts, we had three short presentations sharing techniques. Ash Chohan, Senior Performance Analyst at GDS, delivered a slick and live overview of Google’s Data Studio, covering the basics needed to help us get started in creating our own Data Studio Dashboards in a matter of minutes. And we learned about approaches to Yes/No question analysis and segmentation from Mike Suter-Tibble from DWP. Unfortunately the agenda overran slightly (too much enthusiasm!) and we had to catch a train. So we missed the last technique share from Dan Gilbert and Tim Leighton-Boyce, Senior Performance Analysts at GDS. They introduced a way of using scripts in Google Sheets to keep a cumulative record of Google Analytics data. I was disappointed to miss this and, on reflection, perhaps the agenda was too packed. However, all sessions were shared on Basecamp so I was able to pick it up later on - only to realise we were unable to run the script at HMRC. There’s always a challenge as an analyst! If you are a performance analyst in government, helping to make services better, I’d really recommend joining the Performance and data analysis community. Marilyn Clark is a performance analyst in HMRC’s Digital Services Optimisation Team, based in the Newcastle Hub.